The ideal pools to swim are undoubtedly indoor olympic pools. Please, use the contact details provided at every pool profile. Most of the Salt Water Pools in Illinois offer both open lanes for independent swimming and also guided activities like water aerobics or aquabike. Thanks to some new Swimming Pools submitted each day, Swimia.com is increasing daily the number of stored pools. Please don't hesitate to get in touch with us if you locate any inaccurate or incomplete information. We presently have the following Salt Water Pools in Illinois, but we are constantly grateful for any corrections or contributions. Get in touch via our contact form. If you might be visiting Illinois ensure you know the rules and regulation for swimming as they may not be exactly the same as inside your home town. It's hard to visit Illinois without dropping by Aurora (with 197.899 residents). Currently Swimia is showing you all of the Pool in Aurora and the closest pools located in its vicinity. Let us tell you a secret to switch off while you might be in Chicago: just choose a Swimming Pool in Chicago and plunge into the water! There's no a lot more effective system. Holding an estimated population of 147.433, Joliet is among the most important cities in Illinois. Check all of the Pool in Joliet and its surrounding region. Swimming is really a fantastic idea to keep your body active in the course of your visit to Rockford (Illinois), or even in case you are a local. Swimia helps you to find your closest Pool in Rockford. Without a shadow of a doubt, swimming in Naperville is the finest way to unwind after work. 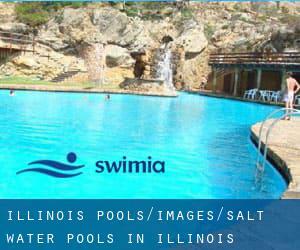 Take a couple of minutes to browse Swimia's catalog to find a Swimming Pool in Naperville. 502 Jefferson St. , Fisherman´s Wharf , San Francisco , CA , USA (Postal Code: 94109). Swimmers like you reported 1/4 mile, Salt Water, Outdoors. Unfortunately we do not have the email address of this Swimming Pool, but we can provide you with the phone number. Updated on 2019 78-128 Ehukai St. , Kailua - Kona , Island of Hawaii, HI , USA (Postal Code: 96740). Swimmers like you have reported 103 feet x 36 feet, Salt Water, Outdoors. Also, you will find 73 feet x 25 feet, Outdoors. Just in case you want to contact this Pool before dropping by, we only know the phone number. 2880 Michelle Drive , Irvine , CA , USA (Postal Code: 92614). Among all the activities offered by the center, in case you are interested in swimming you are going to take pleasure in 25 yards, 3 lanes, Salt Water, Indoors. Just in case you wish to contact this Swimming Pool before dropping by, we only know the phone number. 150 Thunder Trail , Ketchum , ID , USA (Postal Code: 83340). Swimmers like you have reported 25 yards, 6 lanes, Salt Water, Outdoors. Also, you will find 25 yards, 3 lanes, Salt Water, Indoors. If you need to make contact with this Swimming Pool, e-mail address and phone number are both number. Updated on 2019 Highway 30A , Alys Beach , FL , USA (Postal Code: 32461). Swimmers like you have reported 100 feet x 50 feet, Salt Water, Outdoors. Also, you will find 25 yards, Outdoors. If you need to make contact with this Swimming Pool, e-mail address and phone number are both number.